This June marks an important occasion in Nintendo history: the 20th anniversary of Nintendo's first 3D home video game system, the Nintendo 64, which released in Japan on 23 June 1996. 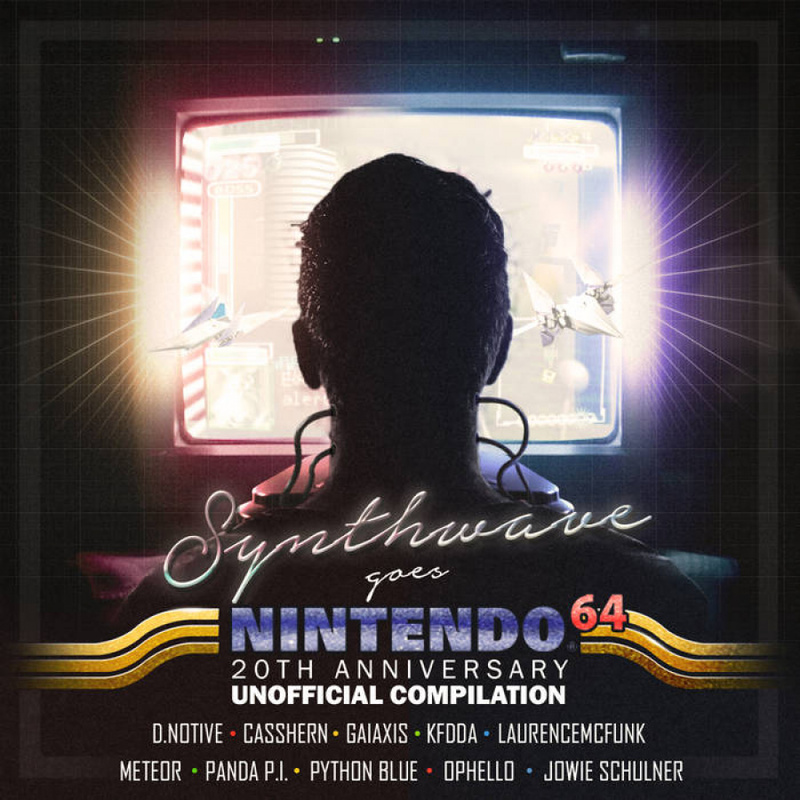 To mark this momentous occasion, a group of artists has released a free unofficial synthwave compilation of classic N64 game music on Bandcamp. The album, which features 11 tracks in total, covers a range of games, from popular titles such as Banjo-Kazooie and Donkey Kong 64 to lesser known gems such as Tetrisphere and San Francisco Rush 2049. You can either stream or download the soundtrack on Bandcamp (an email address must be given in order to do the latter). We'll no doubt celebrate the N64's 20th birthday closer to the time of its actual anniversary; whether Nintendo plans to do anything is sadly not yet known. Cool, I'll give it a listen. I'm assuming this is just a taste of what to come? I have no nostalgia attachment to any of these unfortunately. Cool! I'll give it a shot! I forgot about the Perfect Dark tune - had to find a playthrough video to remember it. Not my thing musically, but pretty cool nonetheless. Thanks for posting! Well, I'm planning on doing one myself... no way it will be better than these guys. Track 2 'Dam' is amazing. Interesting that most of these tunes are from games developed by Rare. Frantic Factory is an absolute gem. Nice to see it reimagined here. How long until Nintendo takes it down and tells them to stop being devoted fans? I kid. Well sort of. Nonetheless, the N64 really was such an underrated system. It was hell in a handbasket to program for, but it gave us some great gems. Definitely a flawed masterpiece. Nintendo sixty fouuuuuuuuuuuuuuuuuuuur! That was the console of my childhood and I'll never forget it. My favorite Synthwave artists are Perturbator, Lazerhawk, Scattle and Mitch Murder. Great music.